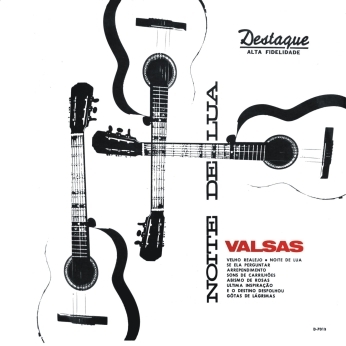 To continue with valsas, here are some out of a moonlit night, performed by Joâo Martins Ribeiro and José Ribeiro Filho, two young artists (at least they were young at the unknown date when this album, their first, was recorded) from the city of Lambari. P.S. 10′ LP or 12′ LP? ANSWER by Pedro: 12′ LP!